The most striking aspect of the ongoing sub-prime mortgage crisis is this: Seemingly everyone in the financial sector is involved or affected in some way. While it started in the U.S., it has now effectively spread around the world. In the last few weeks, we have learned that a number of major banks in the U.S. must make massive write-downs of the value of the asset-backed commercial paper they have invested in. It turns out that much of the paper is illiquid and, consequently, extremely hard to value. Just this week, we learned that Fannie Mae and Freddie Mac, the two government endorsed mortgage insurers in the U.S., also have massive write-downs. Heads have started to roll. In the next few weeks, the Canadian chartered banks will take their turn at the confessional and it is expected that there will be several billion dollars in combined write-downs. Several pension funds - some of them public - have also started to report write-downs of commercial paper and bad mortgages. It may just be a matter of time before insurance companies start to come out with their own admissions. It seems that everyone invested, either directly or indirectly, in bad mortgages and credit card debt. The cover of the latest edition of Fortune magazine asks: "What were they smoking?" This refers of course to the executives running these businesses. The implication, of course, is that making such poor investments was a momentary lapse of judgment on their part. I beg to differ. I don't think the lapse was momentary, but rather is often a normal way of making decisions in business. In fact, I will go even further and say that it is very common in politics, society, and life in general. Rather, what this shows is that senior executives and other major decision makers are no more apt to make rational cool-headed decisions than anyone else. In the case of asset-backed commercial paper, we now find out the "assets" backing the paper are actually debts. Some of the debt is guaranteed by mortgages and liens - bad ones at that - but others are guaranteed by nothing more than repackaged credit card bills. That's right. The asset is a credit card bill. Credit cards that were used to fuel consumption, not purchases of hard assets that can be used as collateral. You can't use your trip to Cancun last winter and which you charged to your card as a guarantee against the debt, because it is intangible. Yet highly intelligent and hard driven people chose to view this as sound investing practice. Why did this happen? Simply put, investment managers and senior executives were following their herding reflex and doing what everyone else seemed to be doing. When this happens, fundamental investing principles are thrown out and doing what everyone else is doing takes precedence. How else can this "momentary" lapse of investing judgment be explained? To make matters worse, this happens all the time in business. Executives succumb to all the latest trends in business and management. In the late seventies and early eighties, the major financial institutions were extending loans to shaky (not to mention corrupt and undemocratic) Latin American regimes. The same applied to governments that also lent to shaky countries. Citigroup, which is now so prominent in the sub-prime mess, almost went bankrupt in the early eighties because of bad loans to Latin American countries. The rest of the financial sector would have gotten into the game at that time, but for the fact that government regulations did not permit such activities outside the banking sector. In the late eighties and early nineties, it was real estate. Confederation Life, the fourth largest life insurer in Canada, went broke in 1994 because it had invested over two thirds of its capital in real estate. It turned out that many of the loans were extremely questionable, and that was largely attributable to the laxity of internal controls. The senior leadership of the corporation apparently thought that real estate couldn't go down. Ever. The fact that all markets are cyclical and prone to booms and bubbles seemed to not register. This is just one example, because the real estate bust in the early nineties was one of the reasons for the severity of the ensuing recession. All this would be fairly benign but for the fact that the ramifications of such massive mistakes extend throughout national and international markets and societies. Profits take a hit, so governments can't collect as much in taxes. This impacts public finances. People lose their jobs. Pensions are downgraded. Confidence in lending, the lifeblood of capitalism, is seriously eroded. In some cases, these crises provoke full-scale depressions, as witness the Asian meltdown in 1997. Japan has yet to fully recover from its own stock market and real estate excesses of the eighties, and is still basically in a deflationary depression. Perhaps this is all due to corporate cupidity and executive stupidity. That explanation is much too simple however. I don't think business people are any more greedy or stupid than anyone else. I believe the real reason for such excesses is fear. Executives are driven by the fear that competitors will steal a march on them. Worse, they believe that they must do it now, whatever "it" happens to be, because that is what the market demands. Unfortunately, when this kind of reasoning occurs, fundamental principles are thrown out as companies try to do what everyone else is doing. This is despite the fact that it has been proven time and time again that lasting success in business comes from creating new products and services to serve new markets, not to do what everyone else is doing. In this matter, executives and investment managers are no different from the rest of humanity. It's just that their actions can have much greater repercussions. The same type of herding behaviour and imitative reasoning is what drives fashion and many social trends: People imitating others. That's the essence of social dynamics. It just doesn't make much sense in the world of business. So what is to be done? Should we never do what others are doing? Should we exist only in our own little worlds? I think that isn't the solution. We should keep a lookout for how society is changing, how markets are changing, how technology is evolving, what our competition is doing. Sometimes, we can adapt best practices and the most obvious successes to our needs. However, that is where the problem lies: What is obvious? The best means of surviving in a changing landscape is to adopt a systematic process of innovation in business and organizational management. Instead of just saying "me too", it is critical that executives and managers seek out information about their environment in the most dynamic and active manner possible. But instead of just then imitating what others are doing, it is essential that they adopt a critical attitude and put their own assumptions and beliefs through a set of filters. That way, when a novel product, service or business solution is launched, at least it has been vetted for feasibility and fit with the organization and its strategy. Hopefully, it has also met some basic tests of risk tolerance and reflects a fundamental uncertainty about how the world really works. The alternative is to continue keeping up with the Joneses and to pray that we get out before the roof falls in.  Alcera Consulting helps individuals and organizations to thrive in the face of uncertainty.